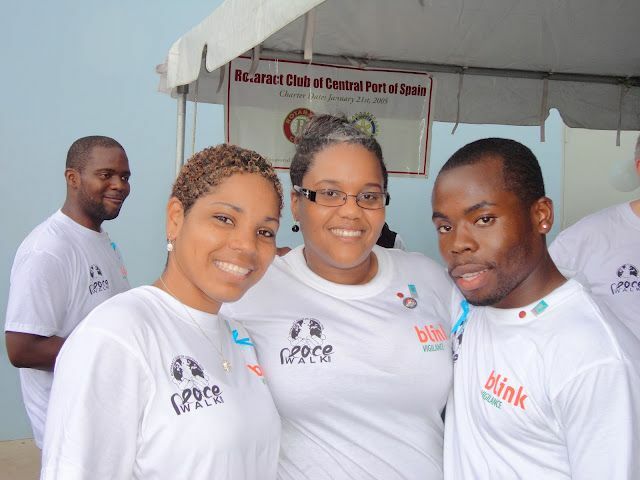 The Rotaract Club of Central Port of Spain was chartered on January 21, 2005. The club seeks to epitomizes the ideals of their organization in everything they think, say and do. "As a family, we will be a unified team of young professionals forged with the purpose of enhancing leadership qualities and alliance, leaving a positive impact on our community and influencing change within our district." Follow the Rotaract Club of Central Port of Spain on Facebook to see what they've been up to. The club planted a number of trees in the POS area including this Poui tree in Woodford Square. ​​Cupcake Fest is one of the club's major fundraisers. Targeted towards children and children at heart, Cupcake Fest is a fun-filled day with lots of activities for kids and cupcakes of course! September 21st is globally recognized as the United Nations “International Day of Peace”. The day is set aside to call on nations to cease-fire, non-violence and to raise awareness on the issues related to peaceful relations. 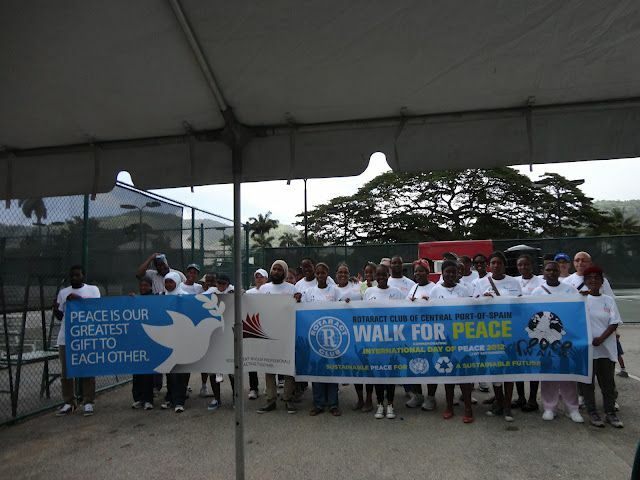 Heeding this call, the Rotaract Club of Central POS led a “Walk for Peace” around King George V Park on Saturday 22nd September, 2012. Aside from joining a worldwide coalition for world peace, we chose to recognise the Rotary theme 2012/2013; “Peace through Service”. As young professionals, we felt it necessary to take a stand and note our disapproval with the current levels of crime in Trinidad and Tobago. Key stakeholders, of similar belief, were invited to join with us. Such persons included the Rotary Club of Central POS, Independent Muslim Professionals Acting Together (IMPACT) and the Interact Club of Woodbrook Secondary School. Bringing greetings on behalf of our club, President Abigail specifically noted the impact crime and violence had on children. She highlighted that as adults, we all must do better by the children in Trinidad and Tobago. VP Sheranne indicated that this was our club’s call to persons in our country to stand up against violence. 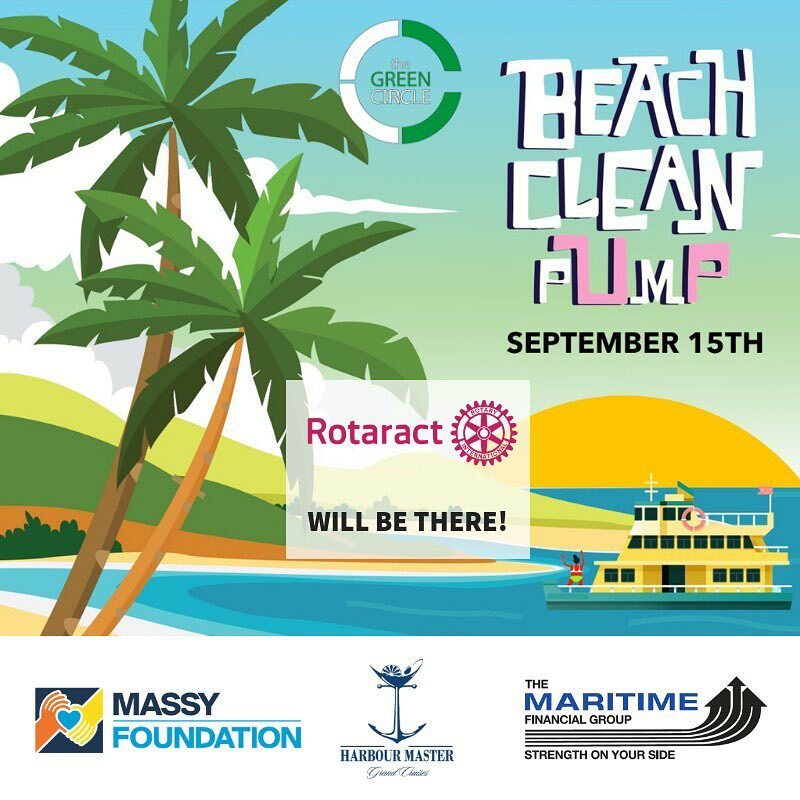 Wanting to make this a regionally reaching project, the Rotaract Club of Grenada partnered with us by hosting a similar event on the same day. It really was beautiful to know that in two Caribbean countries, Rotaractors were signalling the same call in one voice. We sincerely thank the Rotaractors in Grenada for this. 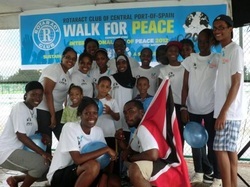 Special thanks to Rotaractor Dellard Nelson of the Rotaract Club of St Augustine West for walking with us as well. We are very pleased with our efforts (which were highlighted in the local media!) and know that this is just the beginning of an effort on our end to assist with the national crisis which we now face. 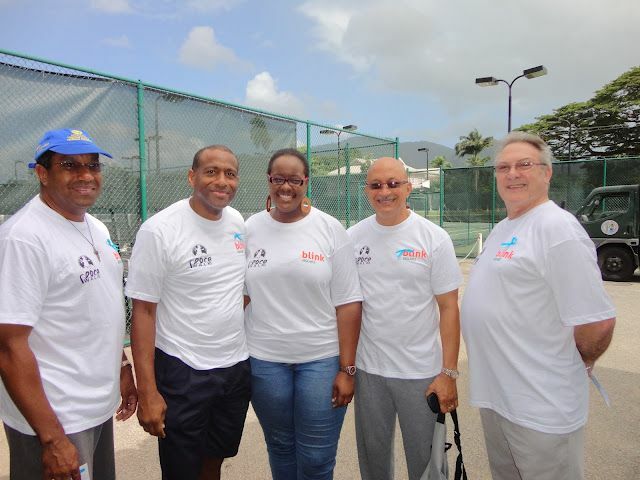 Thanks to those members of the Rotary Club of Central POS who attended (and made the two laps, in the hot sun bravely). As always, we truly appreciate the support given to us.